At Ashville Concrete we pride ourselves on being a leading supplier of high-quality Ready Mix Concrete. Our Concrete Products are suitable for domestic, commercial, highway and agricultural use with no job being too small or too large. Our state-of-the-art Volumetric Lorries will make it possible to arrive on site with the ingredients. 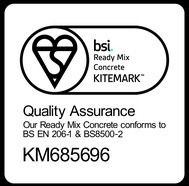 This allows us to create Ready Mix Concrete Cockfosters. These lorries act as a mobile batching plant incorporating state of the art calibration equipment and software. This helps us to provide a precise and reliable service while minimising wastage. As a result, we can produce multiple Concrete Products on the same delivery. Ashville Concretes background is a history in the construction industry from ground roots upwards. We understand how important it is to do what you say you will and that reliability is the key. As we provide the entire spectrum of waste management and ready mix concrete supply, we can combine the two to be a one-stop solution for Building Contractors and Utility Companies. Ashville Concrete take great pride in our fleet of vehicles, all of which are maintained stringently and regularly cleaned. Our entire fleet is fitted with the latest safety and tracking equipment. This enables us to monitor and communicate with our drivers, making sure we provide you with the most efficient and responsive service possible. 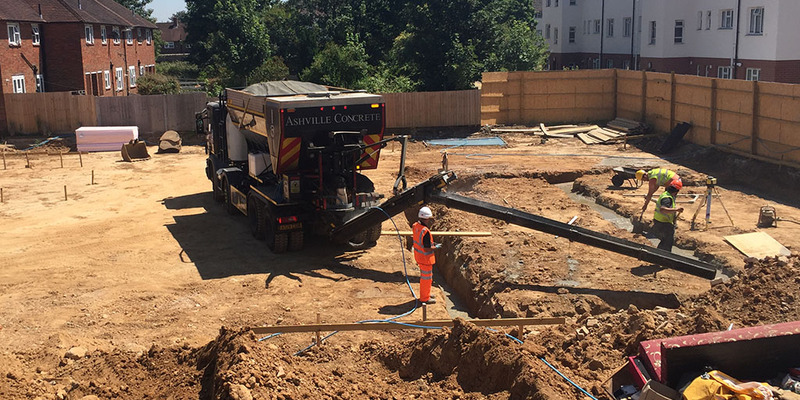 As well as providing reliable Ready Mix Concrete Cockfosters, we can also provide Ready Mix Screed, Concrete Pump services, Grab Hire, Tipper Hire, Skip Hire and Aggregates supply. Our vehicles can offer a broad range of services – such as arriving with primary or secondary aggregates and removing waste simultaneously.